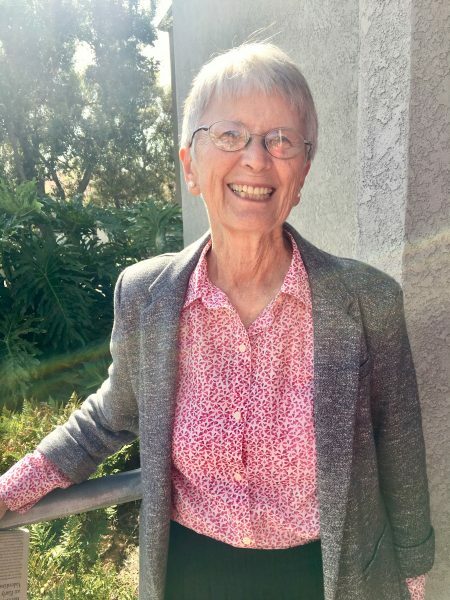 Ann Richardson, who quietly served our community for over 20 years as a doer and organizer, has moved on. She fought a recurring cancer this past year, there were the usual signs, but she was uncomplaining, continuing the caring service that marked her life. But Ann knew what time it was. On a recent Sunday, she brought a notebook of service needs to church, passing them out, asking if this or that person could provide this or that needed service, until the last one had been resolved. By the following Sunday she was comatose; hospice came to the snug cottage shared with husband John, and her family gathered. In the darkest hour of the night, Ann quietly slipped away. When the rising sun announced the new day, there was an empty place in the Richardson home, and across Laguna. It was Oct. 30, the last day of Ann’s life, and the penultimate day of National Breast Cancer Awareness Month. Cancer is a dreaded, terrible disease, but if there is a trace of grace to be found, it’s in the example of the courageous and magnificent fight of the afflicted. They are not victims, though their fight may fail, but a lesson to all of the greatness possible as we respond to life’s challenges. Ann had come west after graduating from college to teach school, renting an apartment on Balboa Island with some girlfriends. This was in the late ‘50s, an idyllic time on the California coast made better by a young man, John Richardson, who offered to wash her car. They married, some 58 anniversaries ago, and reared four children. In their early years, they cared for teenage boys removed from their parent’s custody. Once the boys, unaware of how to care for a caregiver, played a trick by locking her in the pantry. To their surprise, Ann made no protest. After a long silence, they curiously opened the door to find her napping on the chest freezer. For her memorial service, Ann requested Malin Glade, a junior at Laguna Beach High School, to sing. Malin, who lives with cystic fibrosis and had a special relationship with Ann, sang beautifully. It was a reminder of a first son, Grant, who Ann had lovingly nursed until his passing at 14 of the same disease. John and Ann raised three other remarkable children who in turn blessed them with 11 grandchildren. At the service, Ann was remembered as a person of faith and quiet goodness, who never met anyone she didn’t like. She was meek, yet unusually persistent. Out of her Good Samaritan caring she knew many of Laguna’s homeless; she knew their names and she knew their stories. A daughter remembered Ann, on trips downtown to the bank, taking the complimentary water bottles to share with the homeless on the way back. Yes, Ann has left us. One can imagine her quietly slipping away in the dark of the night, softly waving to loved ones, rising towards the light, and the door opening before her. She surely merits an honored place beside her Lord, but knowing Ann, she’ll defer to someone more in need. We’ll not soon see another like her. She was a example to all of the good Samaritan from the Bible. I’ve been thinking a lot about Ann lately. She left us with a beautiful example of Christ like service and love for her fellow man. As I try to figure out meaningful ways to help in my community, I sometimes think of Ann and wonder “What would Ann do?”.